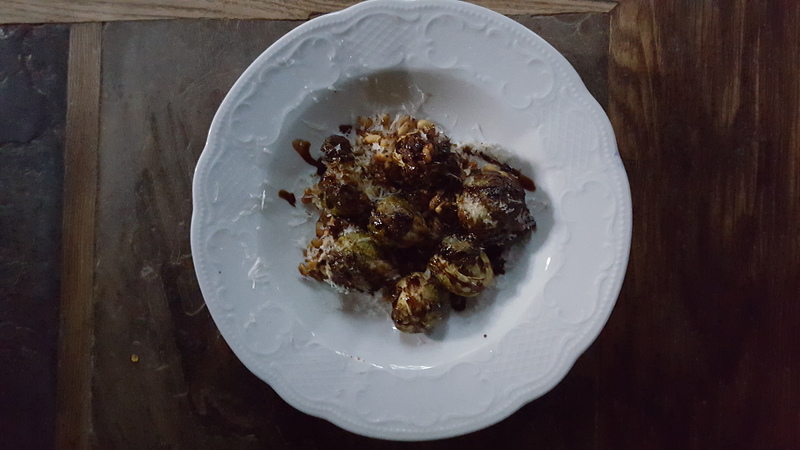 Recipes - Sides - Roasted Brussel Sprouts - Salado Olive Oil Co. Yes, they're the vegetable everyone likes to hate, but they really are delicious when you kick them up a notch or two instead of simply steaming and throwing some butter and salt on them. Place all ingredients in a bowl and toss to coat Brussel Sprouts. Spread evenly onto a baking sheet and then bake at 400 degrees for 25-30 minutes.